Mrs. Dixie Gibson, 85, of Buena Vista, GA, passed away on Tuesday, August 21, 2018, at Magnolia Manor of Marion County. Funeral services will be held at 11:00am on Friday, August 24, 2018, in the Chapel of Watson-Tante Funeral Home with Rev. Sam Allen officiating. Burial will follow the service at Buena Vista Cemetery. The family will receive friends at the funeral home on Thursday, August 23, 2018, from 6:00-8:00pm. Mrs. Gibson was born October 15, 1932, in Marion County, GA, to Henry and Eva Johnson Hodge. Baptist by faith, she was a homemaker. Known as one of the best cooks in the county, she enjoyed making cakes and candy. 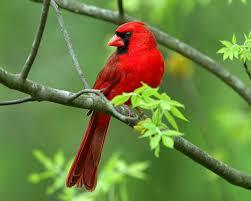 Mrs. Gibson was a lover of flowers and birds – especially red birds because she knew they were angels looking over her. In addition to her parents, she was preceded in death by two brothers, Richard Hodge and Boyce Hodge and by a sister Nell Henderson. She is survived by her husband, Herman “Fuzz” Gibson of Buena Vista, GA; by five children, Mike and Mary Gibson of Ivins, UT, Jeff and Sherrie Gibson of Americus, GA, Marsha and Pete Weber of Buena Vista, GA, Kent “Shorty” Gibson of Madison, GA, and Dana and Bryan Crowden of Senoia, GA; by a brother, Charles Hodge of Buena Vista, GA; by thirteen grandchildren, Susan McDonald, Kim Carter, Clayton Gibson, Mandy Hart, Brandon Gibson, Chris Weber, Brian Weber, Steven Gibson, Ivy Rose Tyree, Blake Hall, Mason Crowden, Benji Crowden, and Grace Bernath. Fifteen great-grandchildren also survive.